Tachycardia is the name given to any heart rhythm that produces a rapid heartbeat. Tachycardia is most often completely normal. In fact, nearly all of us have it nearly every day. Increasing the heart rate is the main way the heart is able to increase the amount of blood it is pumping during periods of exertion or stress. This normal kind of tachycardia, which is produced by the sinus node, is called sinus tachycardia. However, there are also several kinds of cardiac arrhythmias (abnormal heart rhythms) that cause tachycardia. There are two general types of arrhythmias that produce tachycardia: the supraventricular tachycardias, which arise in the atria of the heart, and the ventricular tachycardias, which arise in the ventricles. These two types of tachycardia are quite different both in the types of people they usually affect and in the amount of danger they pose. SVT tends to occur as episodes that begin and end quite suddenly, usually without any warning whatsoever. SVT commonly causes significant palpitations, anxiety, lightheadedness or dizziness, weakness, and sometimes shortness of breath. People who have SVT usually have no symptoms at all in between episodes. But if episodes occur frequently or last for a long time, SVT can prove quite disruptive to a person’s life. Despite how badly SVT can make you feel, however, it almost never poses a significant risk to life and limb. In addition to these common varieties, there are several kinds of SVT that are much less common. SVT can almost always be treated effectively. Anyone who has SVT should seek medical care with a cardiac rhythm specialist. The ventricular tachycardias include two general kinds of arrhythmia: ventricular tachycardia itself, and ventricular fibrillation. In most cases, these arrhythmias are seen in older people who have significant underlying cardiac disease, especially coronary artery disease (CAD) and heart failure. Ventricular fibrillation (VF) is the most dangerous of the cardiac arrhythmias. When it occurs it invariably leads to death within a few minutes unless it is stopped. In VF, the electrical impulses within the ventricles suddenly become completely chaotic, the heart immediately stops beating, and a cardiac arrest occurs. Unless the victim receives effective cardiopulmonary resuscitation, death ensues within minutes. 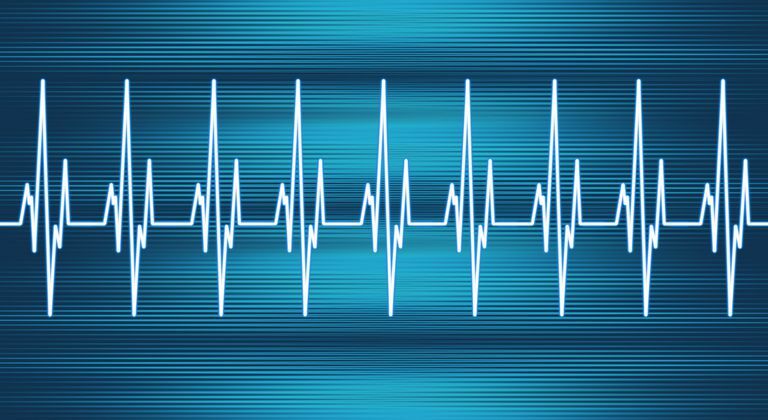 Ventricular fibrillation is estimated to cause over 300,000 sudden deaths each year in the U.S. alone. Obviously, the best way to deal with ventricular fibrillation is to prevent it. Ventricular tachycardia is another potentially dangerous arrhythmia originating in the ventricles. While in some people ventricular tachycardia produces only minimal symptoms, more often it produces significant palpitations, severe lightheadedness or loss of consciousness, or sudden death. In contrast to ventricular fibrillation, in many cases ventricular tachycardia allows the heart to continue pumping to at least some extent. So sudden death may not be immediate, and may not occur at all. The large majority of people with ventricular tachycardia have this arrhythmia as a result of CAD or heart failure. Because all forms of ventricular tachycardia are potentially lethal, anyone with this arrhythmia - no matter what the cause - needs to be evaluated by a specialist in cardiac arrhythmias.